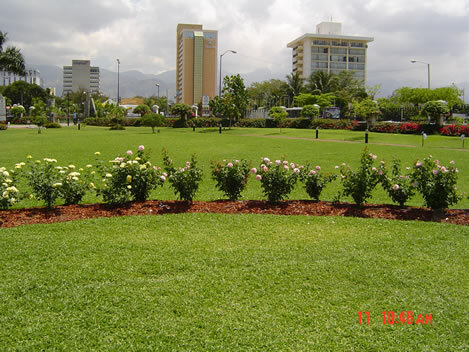 While on your visit to Emancipation Park, you cannot ignore the sweet scent of roses that fills the air and the brilliant beauty of this unique flower that has been used as an expression of love for centuries. In strategic areas of the Park's landscape are five beds, which have over 83 rose plants in eight varieties including the ruby red Crimson Bouquet and the sunshine yellow St. Patrick's roses. Other varieties of roses include the blood red Black Magic and the Knockout Shrub, which has a bright pink hue. 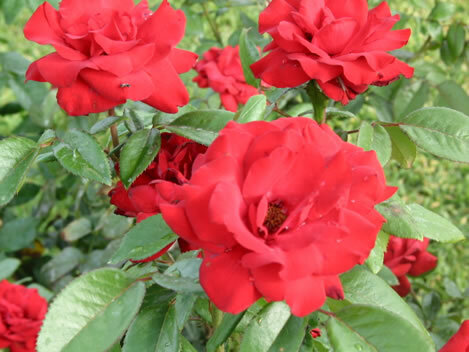 The rose garden is a result of a collaboration between the Park, Agro Grace Limited and Jackson & Perkins, a world-renowned producer of quality rose plants based in the United States. At the handing over ceremony of the rose garden in June 2006, Kevin Marshall from Jackson & Perkins said that he was impressed by the aesthetic beauty of the Park on an earlier visit and so persuaded his company to make a contribution to the development of the Park through the donation of the rose plants. 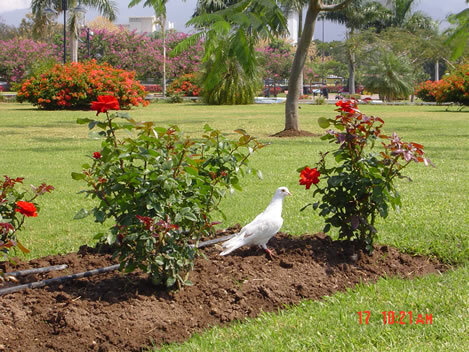 During the ceremony, Mr. Marshall presented Emancipation Park with a special edition of the 2008 Wedding White rose named in honour of the late Pope John Paul II. The garden presents a source of inspiration to plant lovers from all over the world especially rose enthusiasts like Derek Chin who had been selected to establish the rose beds in December 2005. The existing irrigation system was modified to accommodate a drip irrigation system, which provides water to the roots of the plants. Planting was completed during the first week of February 2006. 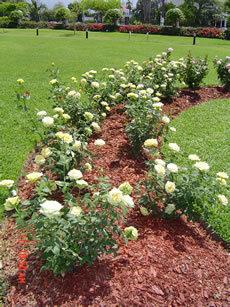 To educate visitors, nameplates are placed within each bed to identify the different types of roses. Today the rose garden is in full bloom and a gorgeous sight for all to behold. The beautiful rose garden is a must see showpiece for all visitors to the Park.